The 19th World Conference on Lung Cancer (WCLC) was recently held from September 23 to 26 in Toronto, Ontario, Canada. Important results were presented from several studies that have the potential to impact clinical practice. 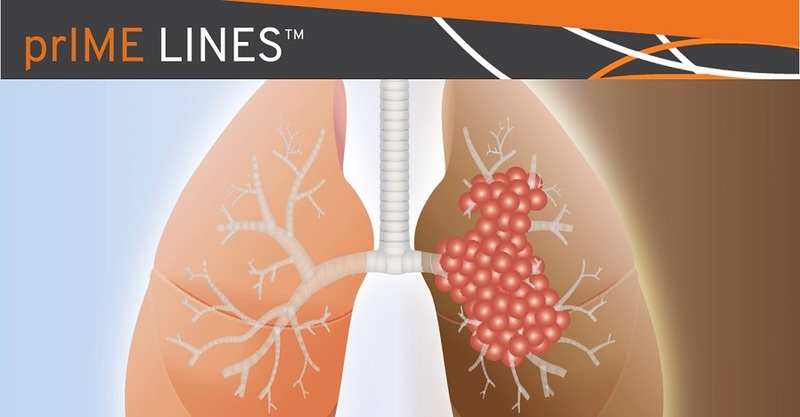 Over the next few weeks, prIME LINES will highlight some key results, beginning with highly anticipated overall survival (OS) data from the phase III PACIFIC trial that were simultaneously published in The New England Journal of Medicine. The PACIFIC trial (N = 713) compared chemoradiation followed by the PD-L1 inhibitor durvalumab (10 mg/kg every 2 weeks for up to 12 months) to chemoradiation followed by placebo in patients with unresectable stage III non-small cell lung cancer (NSCLC). Initial results from this study, published in 2017, demonstrated an 11.2-month improvement in progression-free survival (PFS) for durvalumab maintenance after chemoradiation. These results led to approval of durvalumab in this setting. At the WCLC Presidential Symposium, Scott Antonia, MD, PhD (Moffitt Cancer Center, Tampa, Florida), presented updated results of this study from a median 25.2-month follow-up, including first analysis of OS. Compared to placebo, consolidation with durvalumab after chemoradiation resulted in a statistically significant and clinically meaningful improvement in OS (not reached vs 28.7 months; HR 0.68, P = .00251). The 2-year OS rate was 66.3% in patients receiving durvalumab and 55.6% in patients receiving placebo. The PFS benefit of durvalumab remained consistent with prolonged follow-up. The 18-month PFS rate was 49.5% in patients receiving durvalumab, comparted to 26.7% in patients receiving placebo (HR 0.51). Subgroup analysis found a clear PFS and OS benefit for the addition of durvalumab after chemoradiation in all prespecified patient subgroups, with the exception of OS in patients with PD-L1 expression <1%, as observed in a post-hoc analysis requested by regulatory health authority. Of note, PD-L1 testing was not required in this study and PD-L1 status was unknown for 37% of patients. In the updated analysis, improvements in time to death or distant metastasis, incidence of new lesions, and objective response rate were maintained and consistent with the previous report, indicating substantial anticancer activity of durvaluamb and its favorable effect for preventing metastatic spread. The adverse event (AE) profile of durvalumab also remained consistent with previous analysis, and no new safety signals were observed with prolonged follow-up. Grade 3 or 4 AEs of any cause occurred in 30.5% of the patients receiving durvalumab and 26.1% of those receiving placebo. The most frequent AEs leading to discontinuation of durvalumab was pneumonitis (4.8%). In his discussion of this study, Everett Vokes, MD (University of Chicago, Chicago, Illinois, United States), indicated that maintenance durvalumab following chemoradiation is the standard of care in patients with unresectable stage III NSCLC and should serve as a new control reference. However, he highlighted patients should be tested for PD-L1 expression prior to durvalumab treatment, and alternate strategies considered for those with PD-L1 expression <1%.